Locked away in its Himalayan fortress, Tibet has long exercised a unique hold on the imagination of the West: 'Shangri-La', 'the Land of Snows', 'the Rooftop of the World', Tibet is mysterious in a way that few other places are. Most of Tibet is an immense plateau which lies at altitudes from 4000 to 5000m, but inhabitants tend to cluster in the valleys in the country's east. 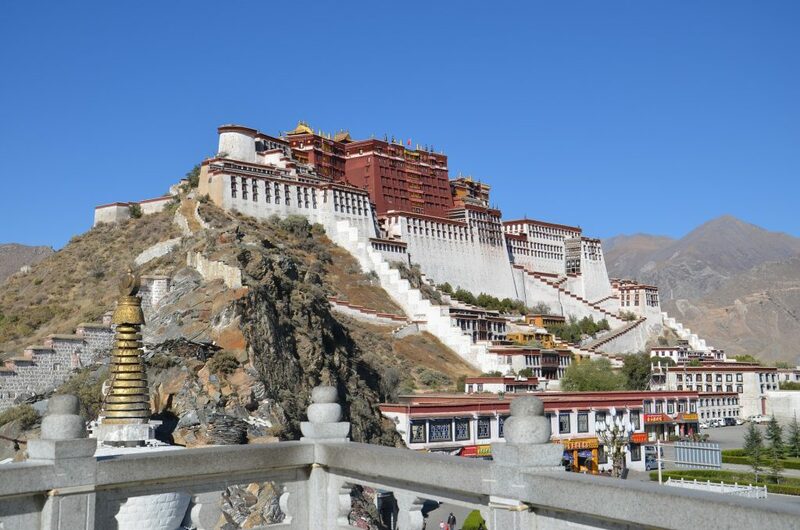 Tibet's strategic importance, straddling the Himalaya between China and the Indian subcontinent, made it irresistible to China who invaded in 1950. But Tibetans have never had it easy. Theirs is a harsh environment and human habitation has always been a precarious proposition. Even so, the deliberate cultural strangling inflicted by the Chinese occupiers since 1950 rates as the worst misfortune the inhabitants of the 'Land of Snows' have been forced to endure. Tibetan Buddhism, which developed out of Indian Tantric Buddhism and the indigenous animistic Bon religion, spread through Tibet by the 7th century. Political differences led to the formation of the Yellow and Red Hat sects, with the Yellow Hats prevailing under the leadership of a succession of Dalai Lama god-kings. Each Dalai Lama is considered the reincarnation of the last, upon whose death the monks search for a newborn child who shows some sign of embodying his predecessor's spirit. Tibet lies at the centre of Asia, with an area of 2.5 million square kilometers. The earth’s highest mountains, a vast arid plateau and great river valleys make up the physical homeland of 6 million Tibetans. It has an average altitude of 13,000 feet above sea level. The Tibet Autonomous Region (TAR) comprises less than half of historic Tibet and was created by China in 1965 for administrative reasons. It is important to note that when Chinese officials and publications use the term “Tibet” they mean only the TAR. Area: 2.5 million sq. km. Average Temprature: July 58 f; Jan. 24 f.
Tibetans: predominantly in agriculture and animal husbandry. Chinese: predominantly in government, commerce and the service sector. Religious Leader: The 14th Dalai Lama. In exile in Dharamsala, India.